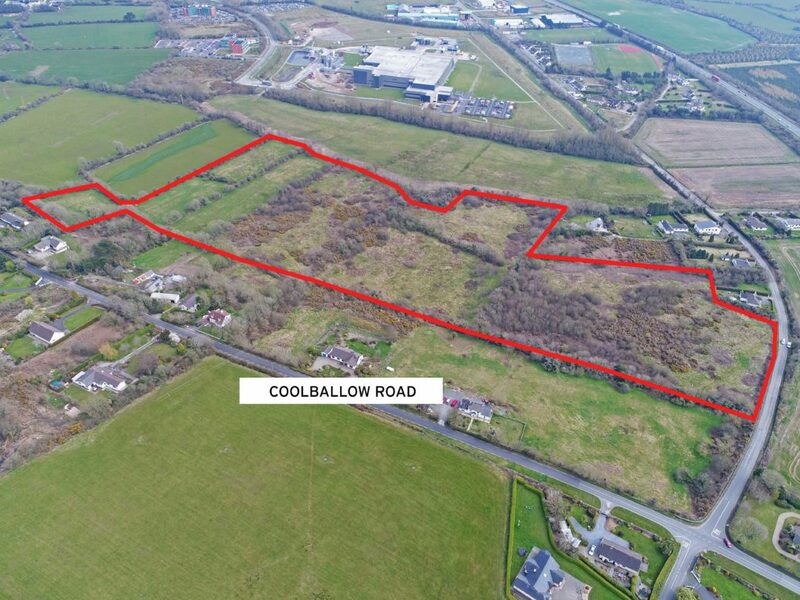 This fine parcel of land is situated close to the junction between Coolballow and Starvehall, in this most convenient and accessible location, only 2.5km from town. 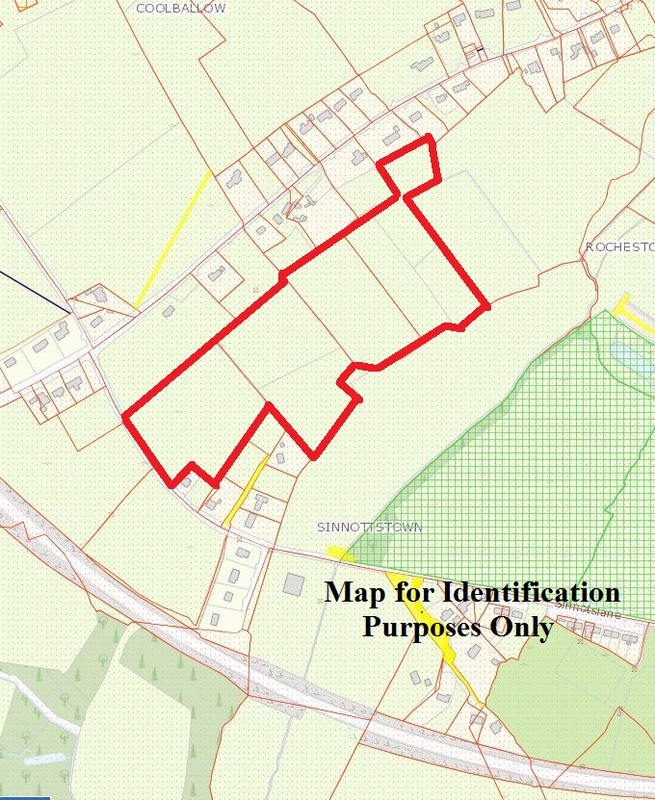 The lands are currently zoned as ‘Transition Zone’ in the current Wexford Town & Environs Development Plan. 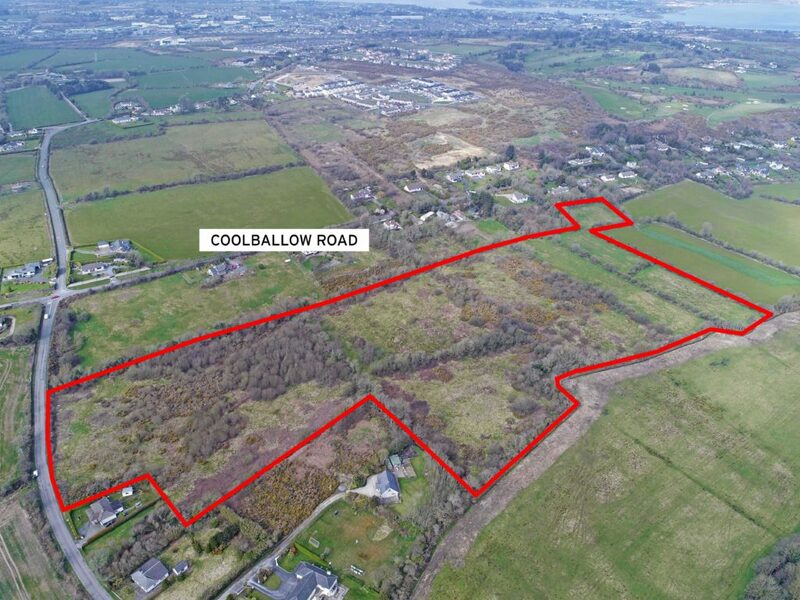 Close to Wexford’s Ring Road/Bypass with easy access to the N11, N25 Dublin to Rosslare Euro Route. For further details, maps, etc. contact Wexford Auctioneers, Kehoe & Assoc. on 053 9144393. LOCATION: The subject lands are situated at Coolballow, on the south-western side of Wexford Town. This is an easily accessible location, close to Wexford’s Ring Road/Bypass and with easy access to Drinagh, Kerlogue and Whiterock Hill. 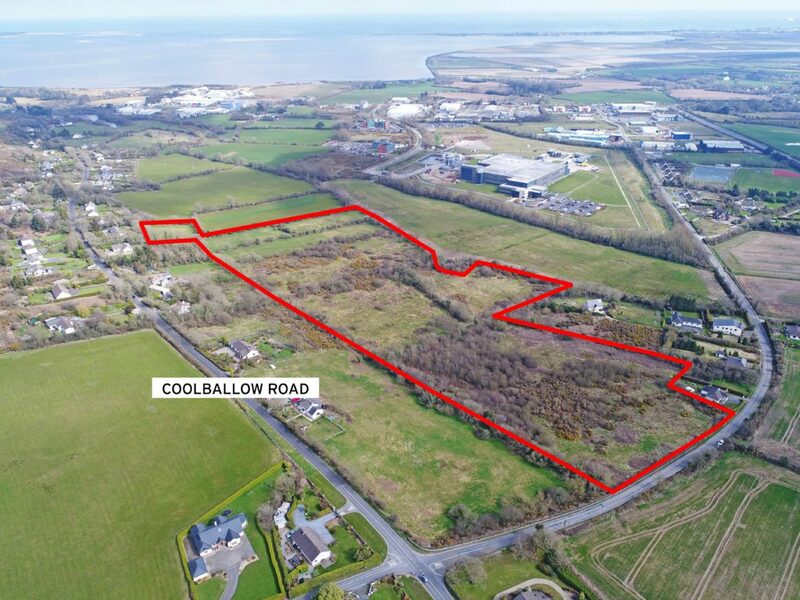 This is an established residential location just off the Wexford to Rosslare Road. DESCRIPTION: The subject lands are laid out in one lot extending to 8.69 hectares / 21 acres or thereabouts. There is good road frontage. The lands are currently under Zoning ‘Objective I – Transition Zone’. This zoning is to provide a Transition Zone between conflicting land uses, so as to protect the amenities of the more sensitive land uses. The purpose of this zoning Objective is to provide transition zone between conflicting landuses – for example residential and industrial uses. The zone provides a physical break in zoning uses and also assists in the overall integration of different land uses by providing a transition area which avoids adverse conflict between different uses. Types of land uses in this Transition Zone must avoid manufacturing, heavy or light industry. Light industry is defined as ‘Industrial building in which the processes carry on or the planter machinery installed are such as could be carried on or installed in any residential area without detriment to the amenity of that area by reason of noise, vibration, smell, fumes, smoke, soot, ash, dust or grit’ (Source Wexford Town & Environs Development Plan 2009-2015 – as extended). Land uses permitted in principle under this land use zone include; childcare facilities, civic and amenity recycling centre, civic buildings and enterprise centre. Land uses open to consideration under this Zoning include; advertisement, financial institution/facilities, car park, car park multi-storey, education, funeral home, garden centre, home based economic activity, light industry, medical and related consultants, motor sales showroom, office, park & ride facility, petrol station, storage/transport depot and service garage. TENURE: We understand the lands are held freehold, free from any encumbrances.